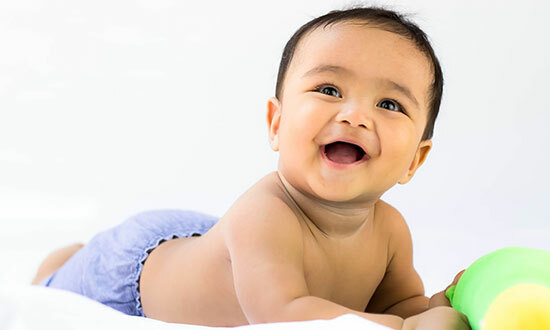 Congenital Nasolacrimal Duct Obstruction (CNLDO) can lead to excessive tearing in your newborn infant that is noted around 6-8 weeks of life. The eyelashes will appear matted together, there will be both tears and mucous which could often be confused for an eye infection. The cause of the obstruction is often a mucosal valve at the end of the lacrimal system which when open, drains the tears into the nasal cavity. Having the tears sit undrained may lead to an area of bacterial growth that may cause an infection. In such a case, the white of the eye will be red and there may be discolored discharge. If this occurs, please come in immediately to see your pediatrician or eye care provider. More often than not, the mucosal valve spontaneously opens within the first year of life. If your child is still exhibiting symptoms of excessive tearing past the age of 11 months, please make an appointment to discuss the surgical options that may be available. NLD probing is an outpatient procedure that we perform at an ambulatory surgery center. Your child will undergo anesthesia and the lacrimal system will be probed to open the mucosal valve. Next, a silicone stent will be placed in the area to prevent scar tissue from closing the newly formed opening. Improvement can usually be seen within days to weeks. The stent is left in place for 3-6 months and can be removed in the clinic with ease.